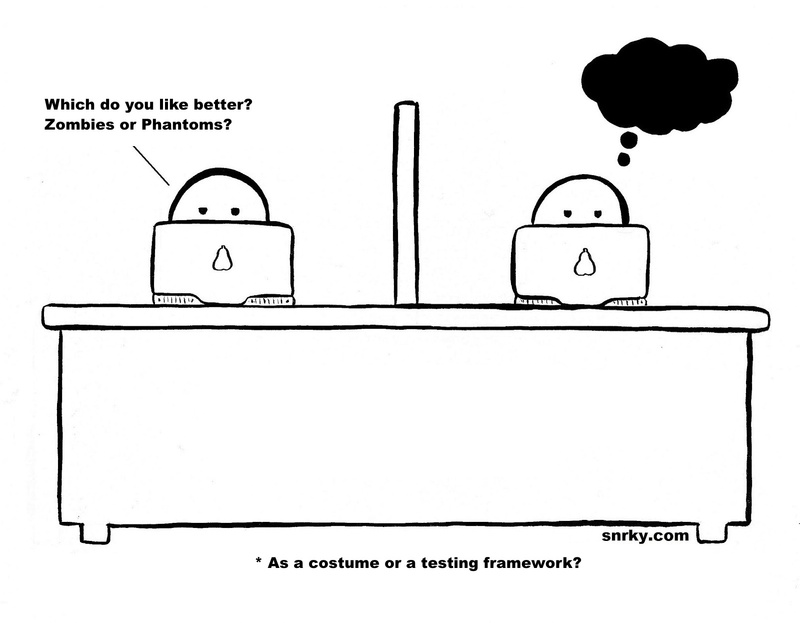 Snrky: As a costume or a testing framework? As a costume or a testing framework? I've noticed that the technically-inclined among us tend to be really, really bad at coming up with clever or creative names for anything. Exhibit A. On rare occasion, and with a little help from a well-timed holiday, we are spared the banality we've come to expect from our nerds, geeks, and dorks and something seemingly clever comes along. Title: As a costume or a testing framework? Snarky: Which do you like better? Zombies or Phantoms?